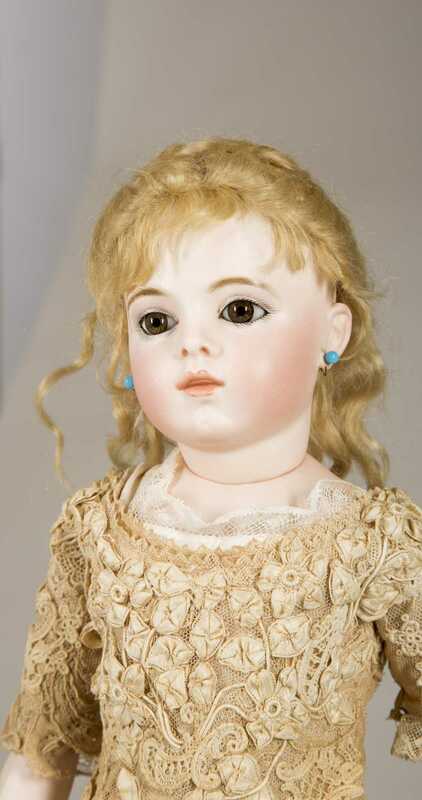 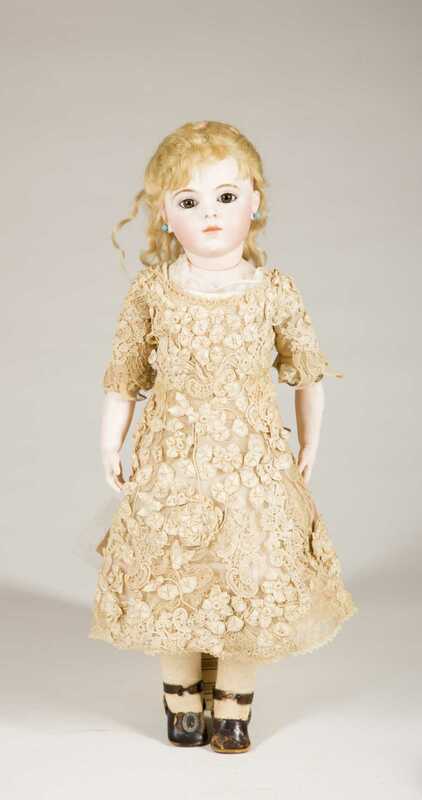 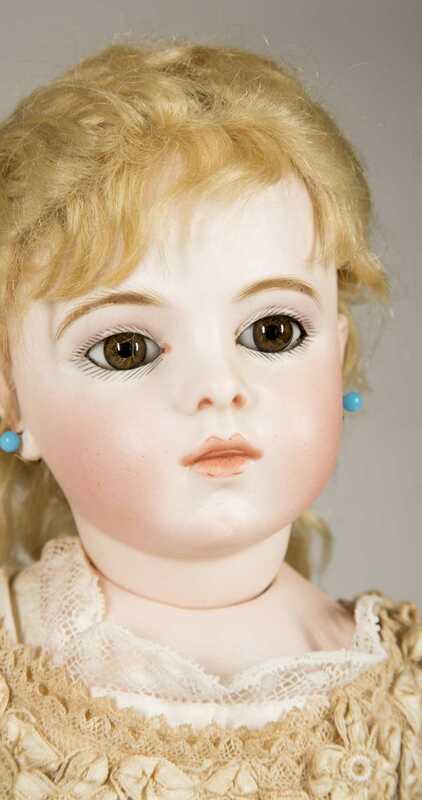 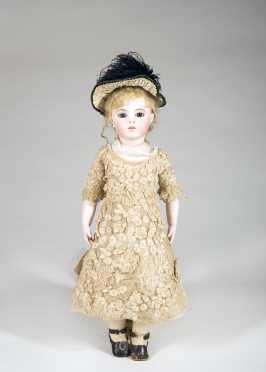 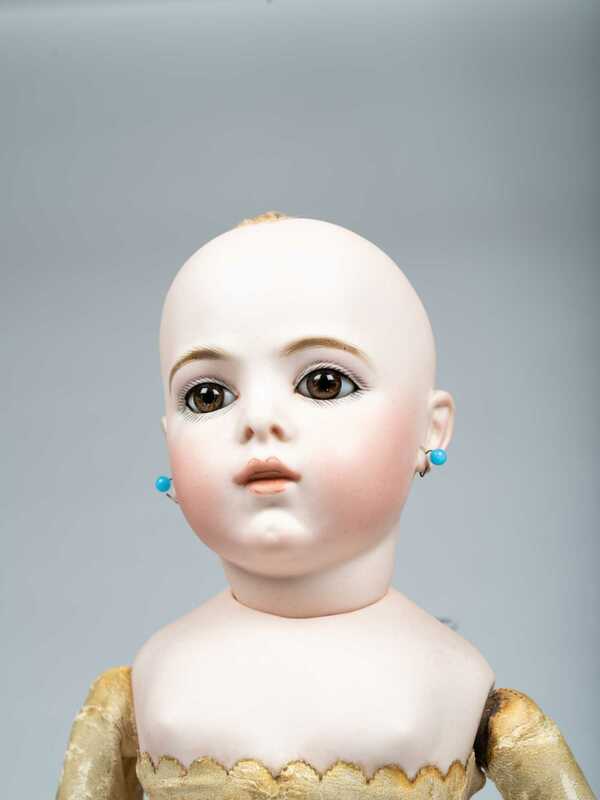 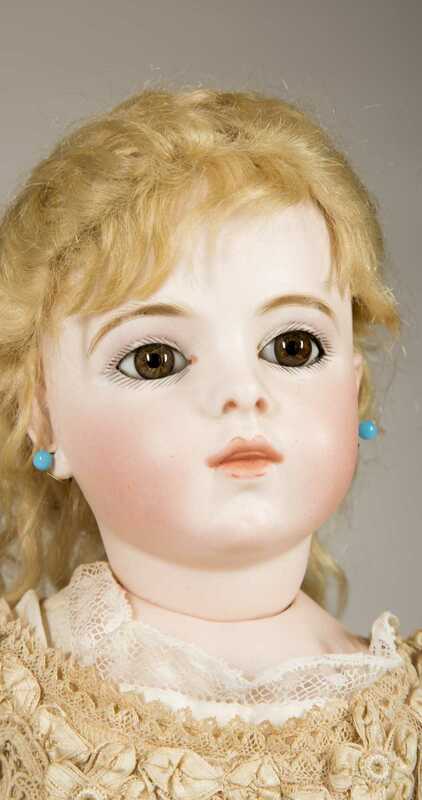 20" French Bru Jne Doll, Bisque head on matching bisque shoulder plate. 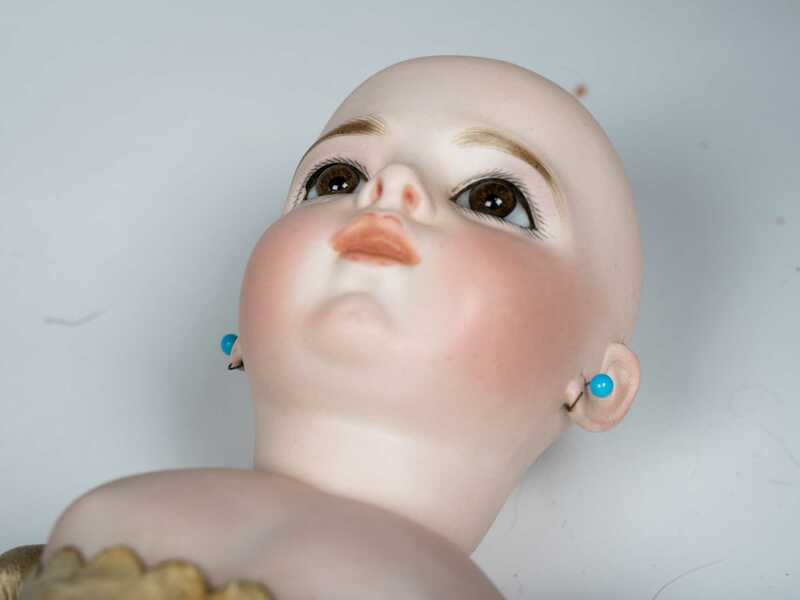 Head is marked "BRU Jne (size) 7 shoulder BRU Jne 7", she has inset brown paper weight eyes, remnants of fur above the socket openings, painted upper and lower lashes, open/closed mouth with molded tongue, pierced ears and cork pate with long blonde mohair wig. 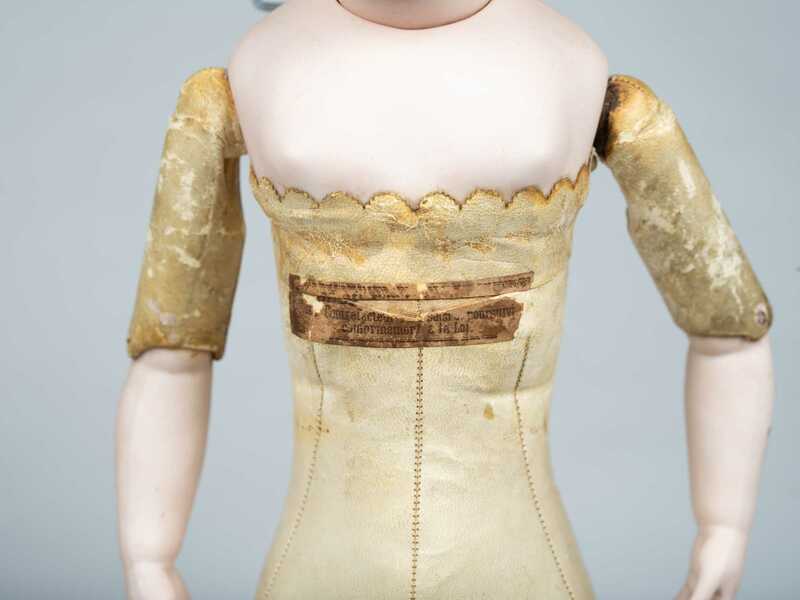 The body is white kid leather with lower bisque arms, and she has an original label on her chest (illegible). 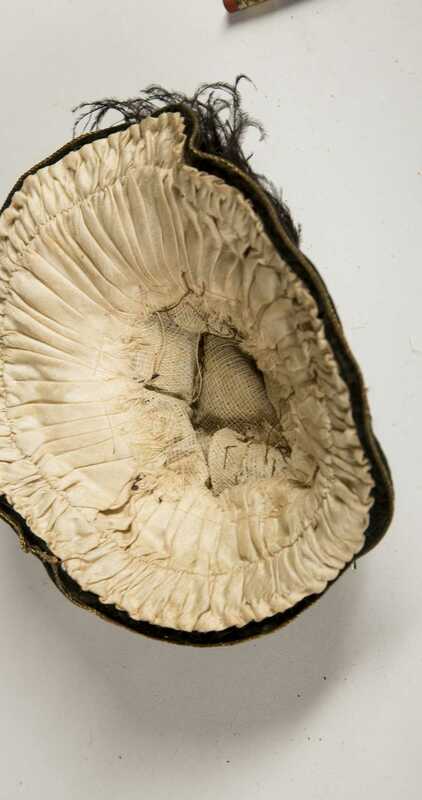 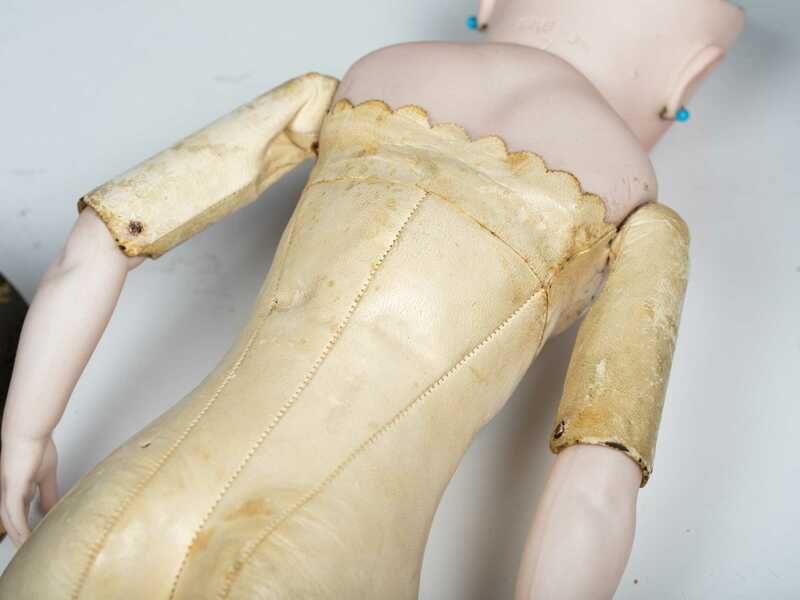 There were some repairs done to her hips on the leather. 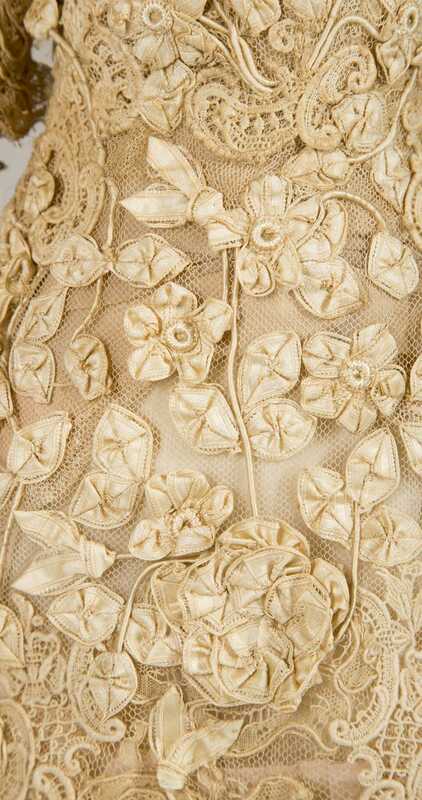 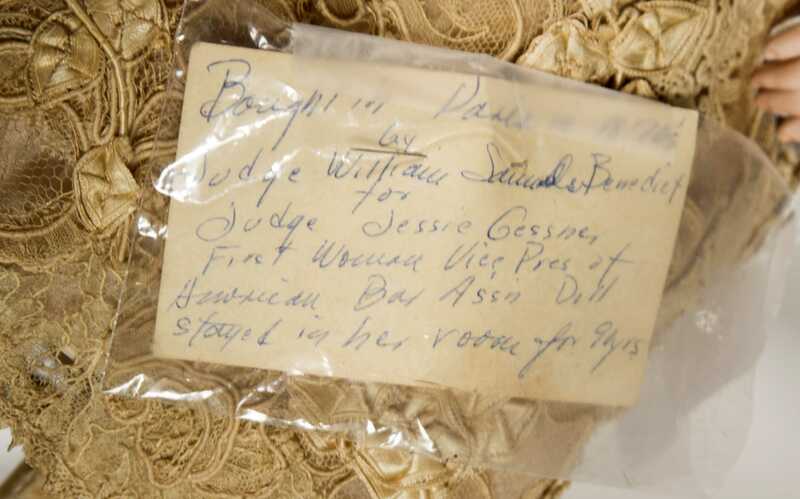 She comes with a provenance: "Bought in Paris in 1870's by Judge William Benedict for Judge Gessner" etc. 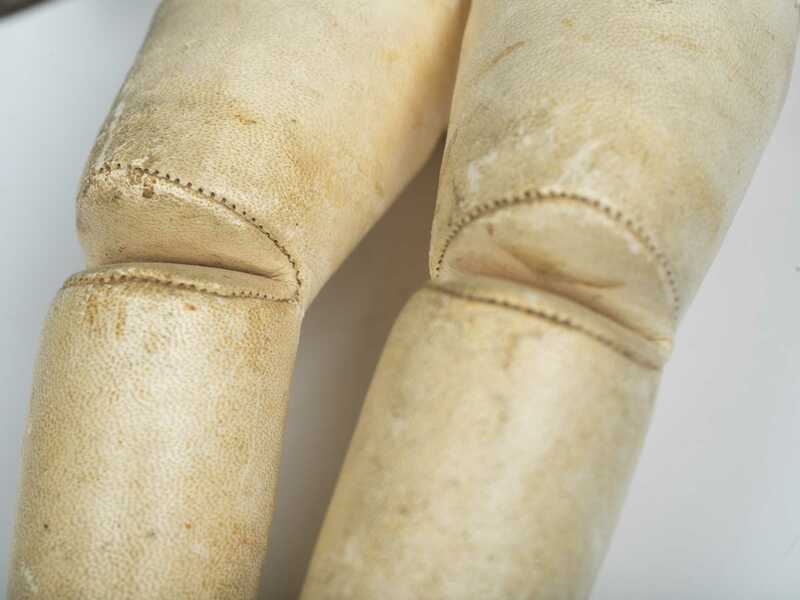 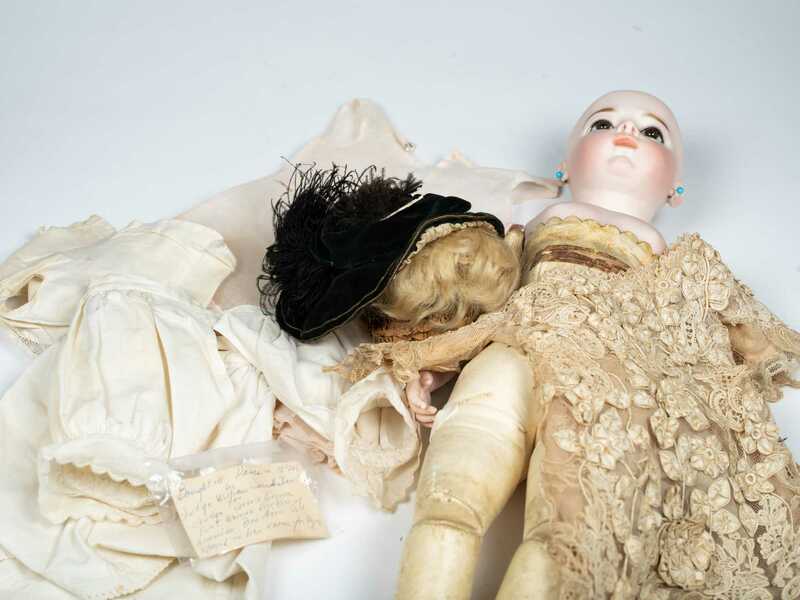 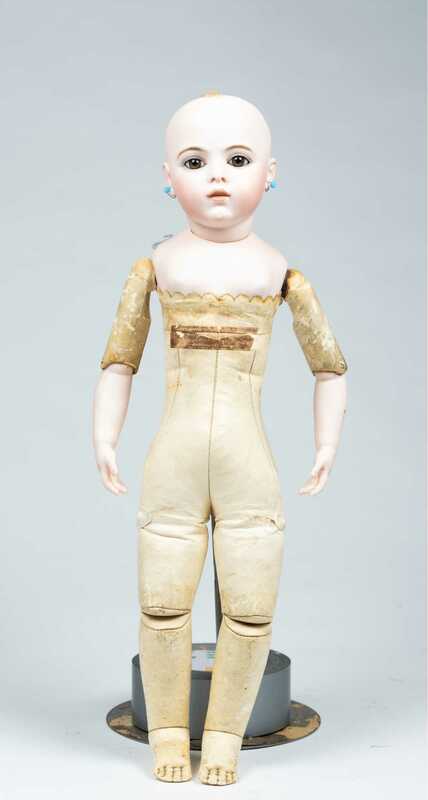 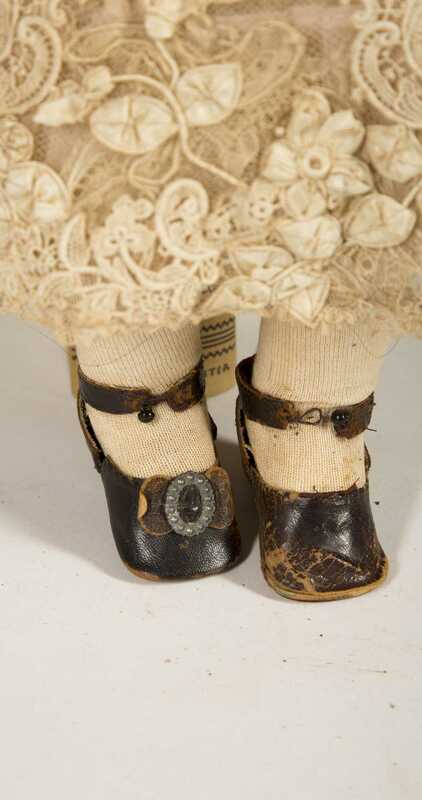 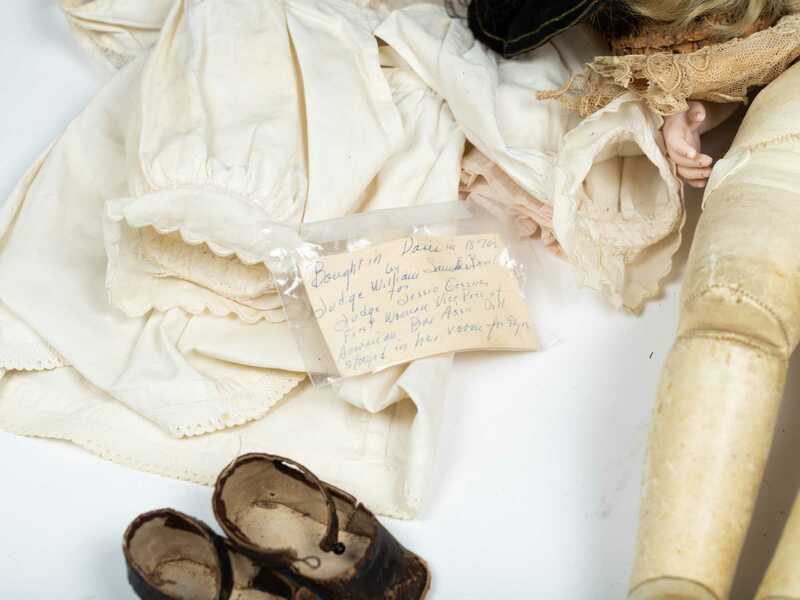 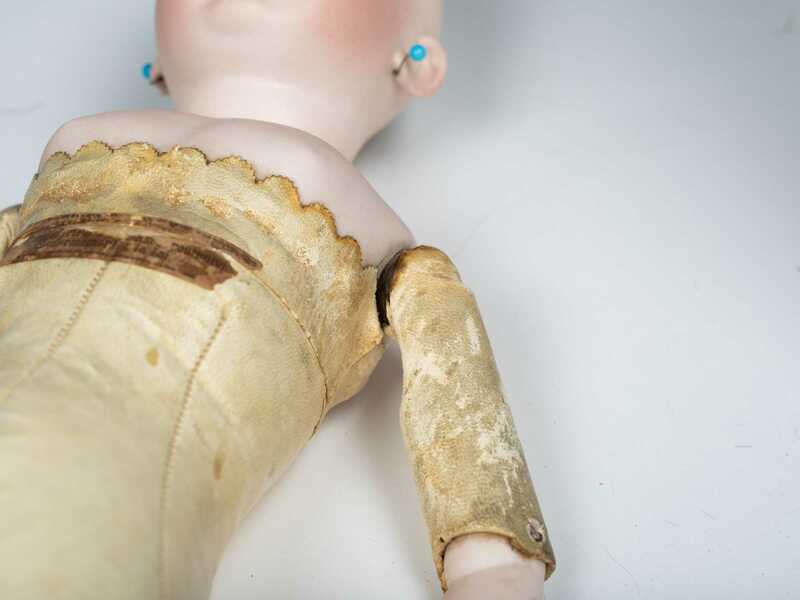 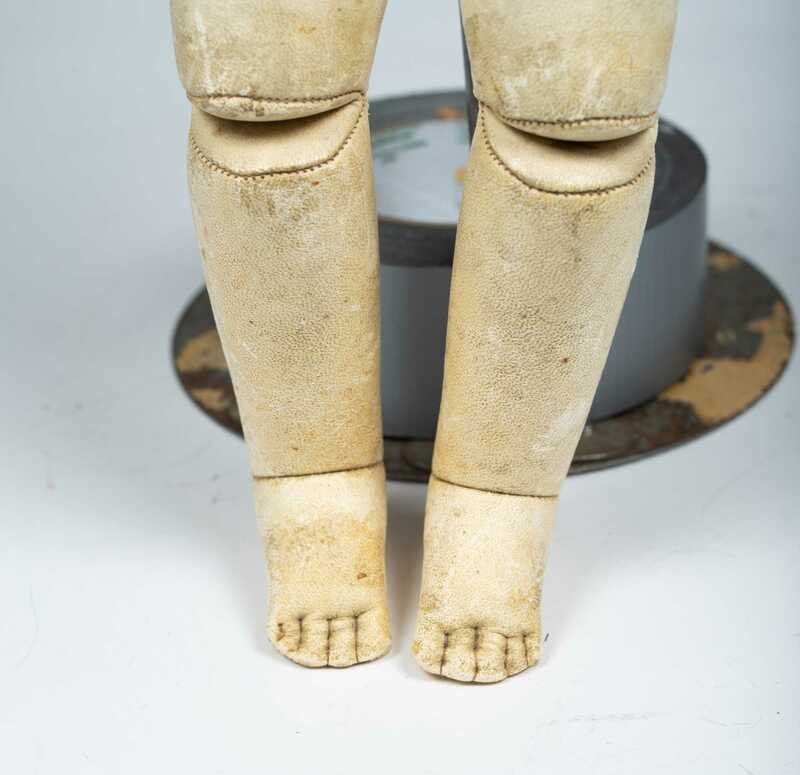 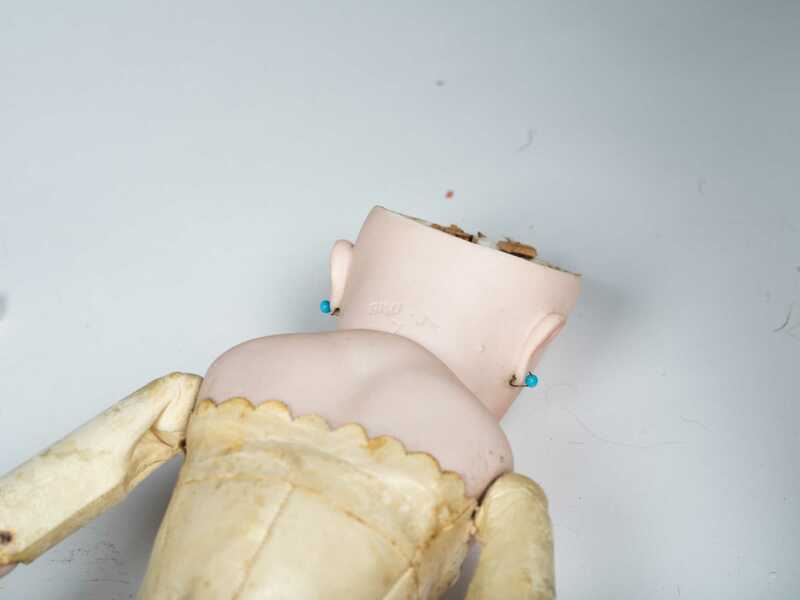 Doll remained in the family for 90 years and comes with the original Bru shoes and antique clothing.